We do spring cleaning for the inside of our homes and the same should apply to the lawn of our houses. Remember or yards need us to assist them in becoming beautiful. What we want is to ensure good growth, fight off weeds and provide adequate watering so when it does get hot, our lawns stand a good chance of winning. Plus keeping all debris clear. All these things make up good spring cleaning for lawns. 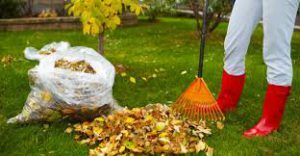 Before we start to assist our yards we want to remove all debris from it. It will also help to gently rake through it to help separate the grass shoots. The grass stays pretty moist during the spring so we want to be gentle with it as we are caring for it. Avoid heavy traffic through it and using the rake roughly. When we start cutting, make sure you have serviced your lawn mower so that the blades are nice and sharp. And this is also the time you want to cut high around 2 1/2 to 3 inches or the highest height for your type grass removing any dead tops. Be sure to follow the rule of no more than 1/3 off the top. If you are planning to fix some bare spots by overseeding, you should avoid using any weed control prior to planting. Weed & Feed chemicals affect newly planted grass seed. But if not this the time to fight the weeds with fertilizers & weed killers. If you are in a cool season area it is best to wait until the fall to plant but there is a chance to plant in the spring. Just catch the proper temperature for the soil which is around the 50 degrees mark. If at all possible, aerate your soil because it will allow the seeds you might plant to get down in the soil for protection & will germinate better. Cool season areas should be done in the fall but spring is the next best time to do it. Warm season grasses are late spring into early summer for aeration & planting. This will also be a good time to top-dress with compost because all soils benefit from adding organic matter. Don.t forget to trim up your bushes and clean up around them. Now you are ready for when the summer rolls in and your lawn should be pretty much ready as well. Keep it maintained properly and you should have a pretty decent looking yard. 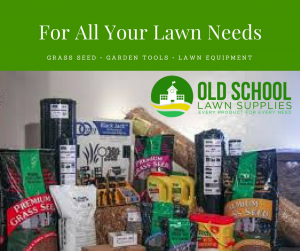 If there are any products, tools, yard decorations or equipment you need, please feel free to visit Old School Lawn Supplies here on this site. Thank you for visiting and I hope this was helpful in some kind of way. I like your focus. When people need something done right, I know they can call on you to do it. Not everyone has the time to care for their lawns the right way or the knowledge. I appreciate the information. What exactly are cool season areas and warm season grasses? It may be a trade secret, so don’t spill the beans if you can’t. The areas determine the climate which determines the types of grass seed to use as well as when to plant them. Refer to this link and you will see how the US is broken down into seasonal areas. Click Here. and plays a big role in weed reduction. It does. It also plays a big role if you are planting seed because they will germinate a lot better. Thanks for sharing! It is so true that we often engage in Spring cleaning the inside of our homes, but fail to maintain our beautiful lawns. I love your suggestions. This is definitely the time of year to get our lawns looking pretty! And you will be rewarded! A well-kept lawn always stands out above the ones that are not. I know that most people feel much better when their lawn is full and green from one edge to the other. This can only happen if it is properly taken care of. Great site… and very helpful information!!! I had no idea so much forethought had to go into keeping your lawn in tip top shape. Your site inspires me to get out there and tackle my yard! I’m glad it was a wake-up call for you. If you take care of your lawn properly it will reward you by looking its best. Try papering it this season and watch that you get better results. What I mean is cutting & watering it properly. Proper maintenance is always of virtue. I always thought you were supposed to rake the yard hard in spring to remove dead stuff. Thanks for the information I am going to stop raking so hard. Never had paid much attention to how much I cut.The one-thirds rule makes sense. It is okay to rake lightly though, Joe. And the cutting aspect is so you don’t always stress your lawn out with waiting for it to get so long you have to cut deep into the blades of grass. Oh! to have a lawn that looked like that. I assume you are talking about the lawn on the home page. If you do congratulations on your lawn care. Very great tips on keeping our lawns beautiful! How often do you give yours a haircut? I try to do it anywhere between 10 to 14 days. Depending on how much rain we get where I live. There are some people who like theirs done every week. I think as long as you refrain from going over two weeks you should be okay. Ah, a person speaking my language. You are very welcome. I hoped that it would serve someone well. Every little bit does help.